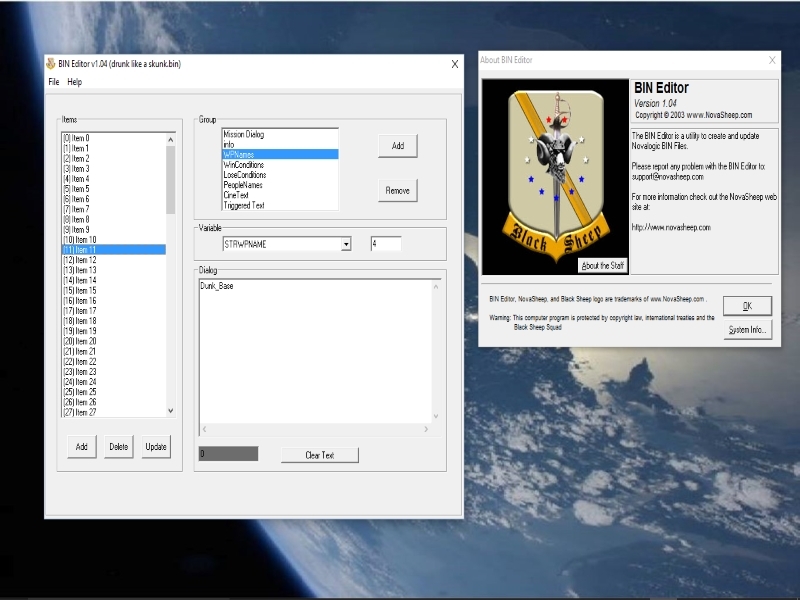 This is the Bin editor i mostly use. A member of the Black Sheep Squad "col. Pappy" made this and it has a nice feeling to it. Taught I'd share with you all. That is what I used while making my own mod. Good tool indeed!